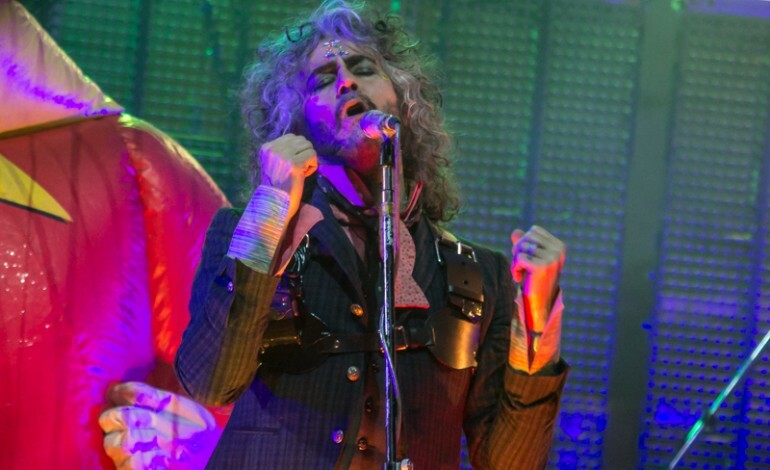 It’s that time of the year where everyone wants to dive in and give their own rendition of holiday classics, and the Oklahoma rock band The Flaming Lips are no different. This year the band decided to drop a cover and psychedelic music video to the songs “Peace on Earth” / “Little Drummer Boy.” The song preferences are considered to be a homage to David Bowie and Bing Crosby’s 1977 medley of the same songs from the TV special Bing Crosby’s Merrie Olde Christmas. In the video, the group are dripping in bejeweled robes, blue and green face paint, Roman helmets and crowns and shimmering bright wigs. Guitarist and keyboardist Steven Drozd is the only exception to this rule as he’s seen dressed relatively normal compared to his bandmates. The video and the song were recorded at Wayne Coyne’s Pink Floor Studios in Oklahoma City, with Coyne and George Salisbury directing the short clip. Recently, the band has made a number of announcements related to new music and performances. Earlier this month, the band announced their upcoming album King’s Mouth will be released in April 2019 on the annual Record Store Day. The name for the album came from a 2015 art installation that shares the same name. The band will also be reprising their performances of the acclaimed 1999 album The Soft Bulletin at Denver’s Boettcher Concert Hall on February 22.